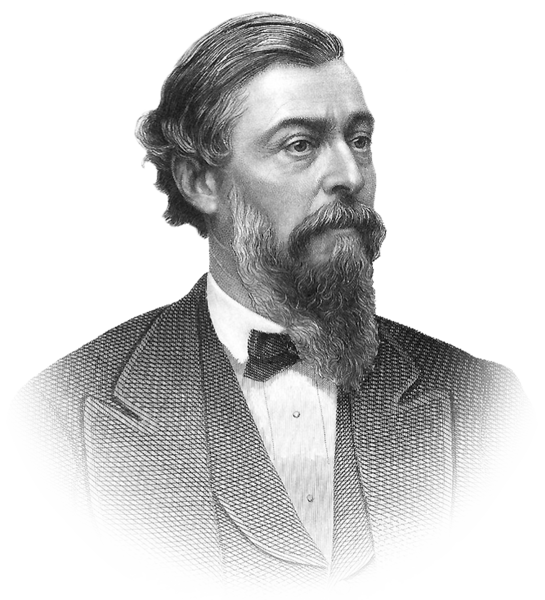 Dr. Thomas Durant was the prime mover in constructing the eastern half of the Transcontinental Railroad. After he was photographed at the driving of the famed Golden Spike at Promontory Point Utah in 1868, he turned his attention to the Adirondack Mountains where he purchased hundreds of thousands of acres and built a railroad from Saratoga Springs into the heart of the mountains. As his health began to fail in the 1870s, his son William West Durant took over the family operations in the Adirondacks and began developing the region around Blue Mountain, Eagle, Utowana and Raquette Lakes. 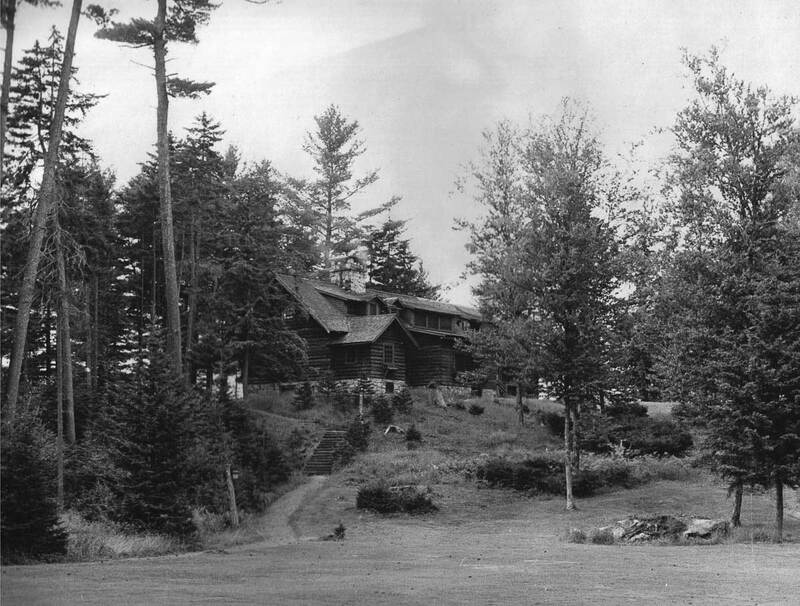 Among his many contributions to the area, William West Durant became the pioneer of the architectural style now known as the Adirondack “Great Camp”. These were multi-building complexes, built along lakeshores for wealthy families, using the rustic materials of the area, crafted in an artistic fashion, and (in the early years before the advent of railroads and automobiles) with a high degree of self-sufficiency. First Durant built Camp Pine Knot on Raquette Lake, Camp Kla-How-Ya on Blue Mountain Lake and Arbutus Lake Camp near Newcomb. 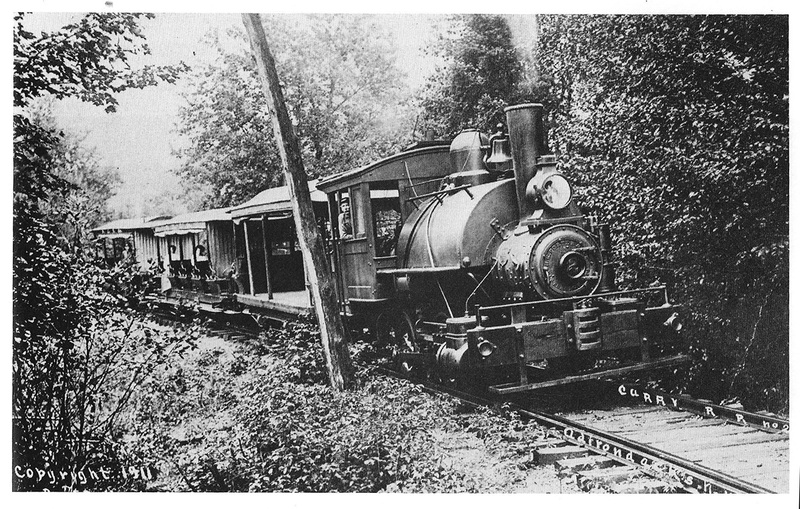 Simultaneously he designed camps for others, built churches for the new owners and his workers, and developed a transportation system of steamboats and a short railroad. Durant always spent more money on his building campaigns than he could afford and typically had to sell his latest camp to raise the funds to keep his many projects afloat. In 1890 he sold Camp Pine Knot to his father’s friend Collis P. Huntington, the prime mover in building the western half of the Transcontinental Railroad. The proceeds from this sale enabled Durant to undertake his most ambitious and sophisticated project to date, Camp Uncas on Mohegan Lake, set in the midst of a 1500 acre private preserve south of Raquette Lake. 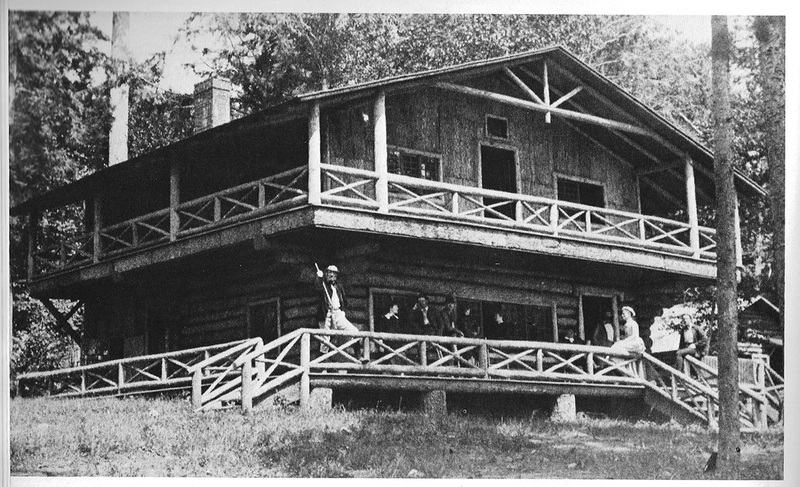 From 1893-95, Durant employed 200 men to build the miles of roads and other infrastructure, cut the large spruce trees for the buildings from the surrounding hillsides, quarry the huge blocks of granite nearby for the foundations and fireplaces, and build the 20-building complex including the log Main Lodge, guest cabin, dining hall, boat house, caretaker and staff quarters, farm and other support buildings. The expense of building Camp Uncas again put Durant into financial distress. When Collis Huntington brought his friend J. Pierpont Morgan over to see Durant’s new camp on Mohegan Lake, Morgan helped Durant out by lending him the money he needed and received a mortgage on Camp Uncas as security. As Durant’s financial problems worsened, eventually they reached an understanding, with Morgan purchasing Camp Uncas in 1897. Without missing a beat Durant went on to build Sagamore Lodge, two miles to the west. 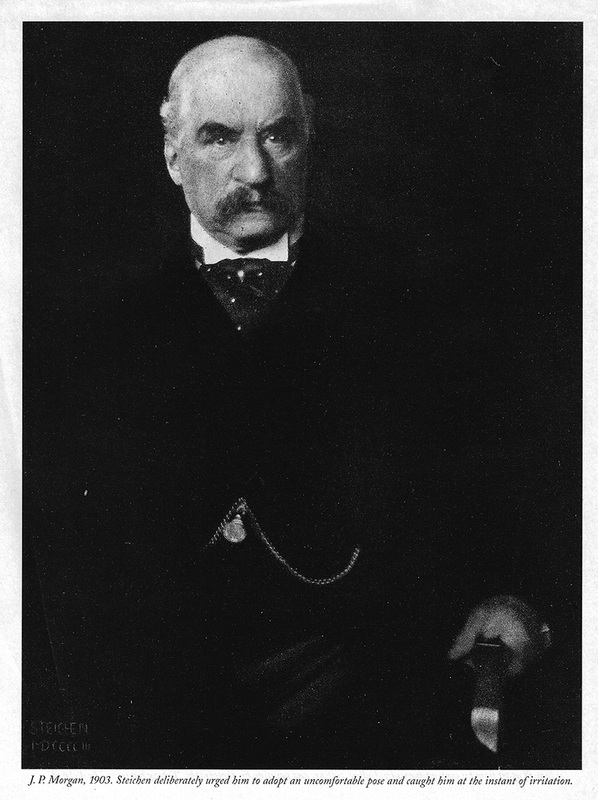 Famous Edward Steichen photograph of J. Pierpont Morgan, 1903. The new owner of Camp Uncas, J. Pierpont Morgan, was widely acknowledged at the time as America’s most powerful financier and one of its wealthiest businessmen. For example, on two different occasions he saved the country from possible financial collapse by mustering his banking colleagues to lend the federal government the money it needed to stay afloat. Camp Uncas stayed in the Morgan family for the next half century. Before Pierpont Morgan died in 1913, he commissioned the construction of a second guest cabin, later called “Hawkeye”, an expanded dining hall, and other improvements. 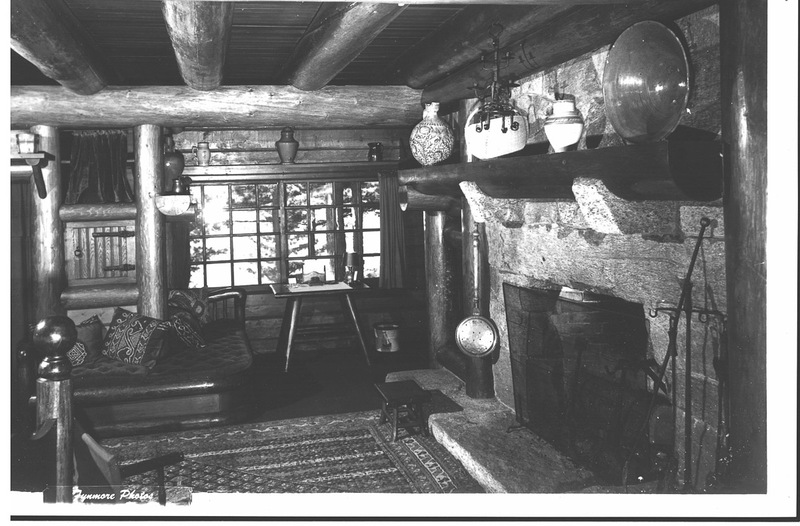 His children, J.P. (“Jack”) Morgan and Anne Morgan, and grandchildren continued to use Camp Uncas as a vacation home for the next 30 years. 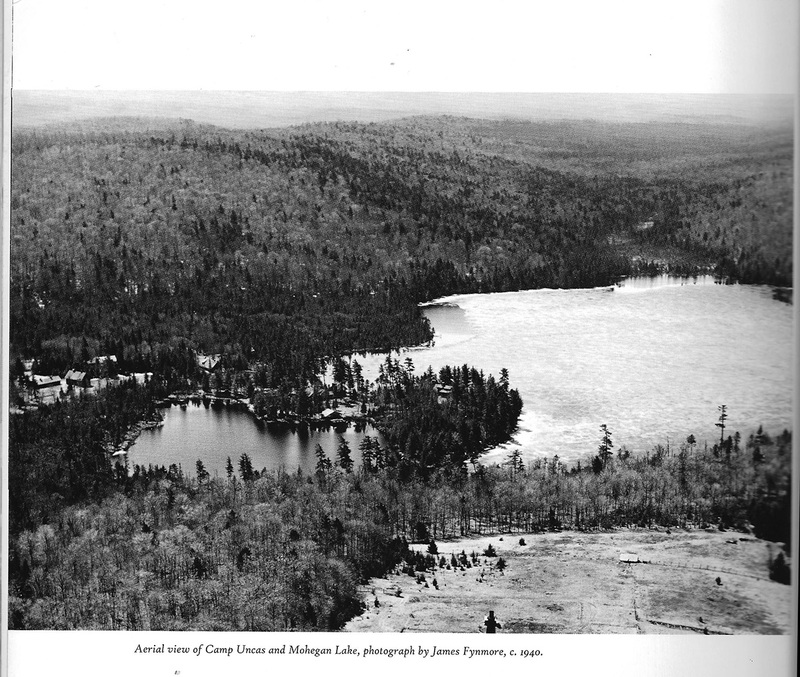 In 1943 on the death of J.P. Morgan, Camp Uncas was sold to Mrs. Margaret Emerson, the owner of the adjoining estate that included Sagamore Lodge and its own private lake. After her husband. Alfred Vanderbilt had died in the Lusitania disaster in 1911, she continued to entertain the rich and famous of the day at Sagamore. During the four years she owned Uncas, she invited friends to occupy the camp, including Secretary of State George Marshall, Madame Chiang Kai Shek and Bernard Baruch. In 1947, Mrs. Emerson donated Camp Uncas to the Damon Runyon Fund, a cancer research group, for a retreat center. (A few years later she would donate Sagamore Lodge to Syracuse University.) In the next few years Camp Uncas passed to new owners and then to Herbert and Margaret Birrell. During the Birrell family’s ten-year ownership, they operated Camp Uncas as a historic site open to the public for two years and leased it to the head of the national A&P supermarket chain for five years. 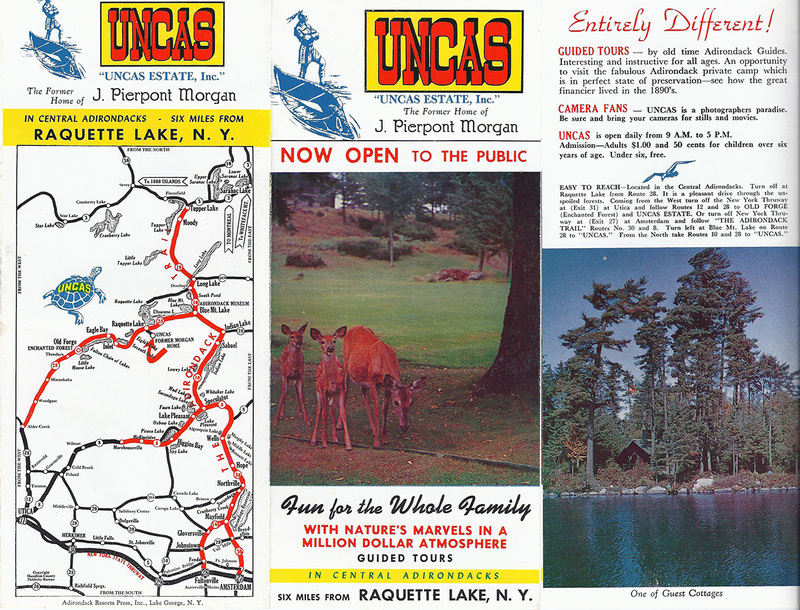 In 1965 Camp Uncas was sold to the Boy Scouts of Rockland County, New York. Until that time, the property had been maintained in excellent condition with all the original furnishings and décor intact. Unfortunately, for the next ten years, the Scouts gave the camp extremely hard use and little or no maintenance. By the time they decided to sell it, it was in sad condition. No damage was done to the structures, but roofs needed replacement, grounds were untended, and after ten years of institutional use, the interior décor had become dowdy and unattractive. In 1973 the Scouts agreed to sell Camp Uncas to New York State for incorporation into the State Forest Preserve, planning to invest the proceeds in their other scout camp closer to Rockland County. If the sale had occurred then, the “forever wild” provision of the New York State constitution would have required that all the buildings of Camp Uncas be destroyed. But at that time the state was in financial difficulty and declared a moratorium on all land purchases. They suggested that the Scouts sell the buildings and a few acres at Camp Uncas privately, and as soon as they could afford it, the state would purchase the 1500 or so acres of land for the Forest Preserve (which they did). 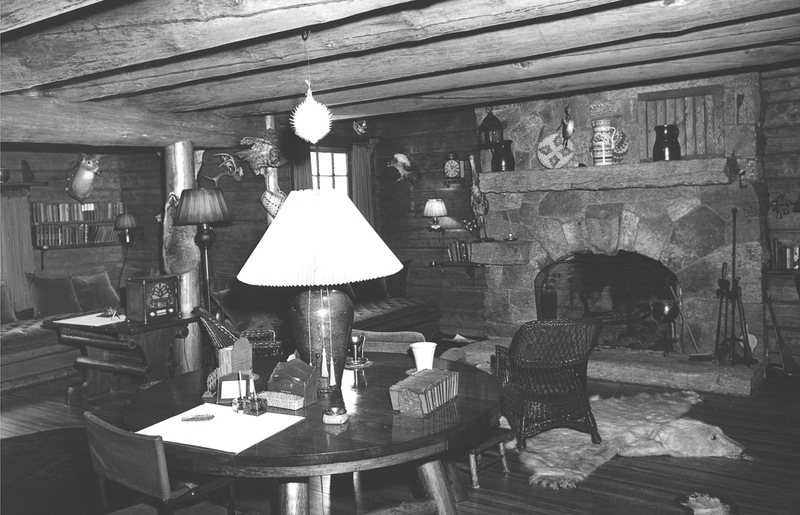 Thus in 1975, Howard Kirschenbaum and Barbara Glaser, the directors of the non-profit organization that had just purchased Sagamore Lodge, were in the right place at the right time and purchased Camp Uncas on 16 acres for their home—the only private property on Mohegan Lake, surrounded by tens of thousands of acres of State Forest Preserve. Initially they used it privately for family and friends, rented some of the buildings, and allowed nearby Sagamore to use part of the property for a children’s summer camp for eight years. After the owners divorced in the 1980s, Camp Uncas was subdivided. Kirschenbaum retained 4.6 acres with 1700 feet of shoreline, containing most of the main buildings of the camp, including the Main Lodge, the two guest cabins and the boathouse. Glaser was deeded the Dining Hall building, a staff dwelling, the barn and other outbuildings. A good friend of theirs purchased the original caretaker’s home. Thus Kirschenbaum and Glaser (who each subsequently remarried) and their families and friends have enjoyed living at Camp Uncas for almost 40 years, each enjoying their privacy in different parts of the property yet sharing a sense of community. Throughout this time they have steadily restored and improved their respective property and buildings while sharing use and maintenance responsibilities for the road and water system. They have worked in parallel to preserve the historic buildings, modernize the infrastructure, and often cooperate to host historic tours and special events for non-profit organizations they wished to support. 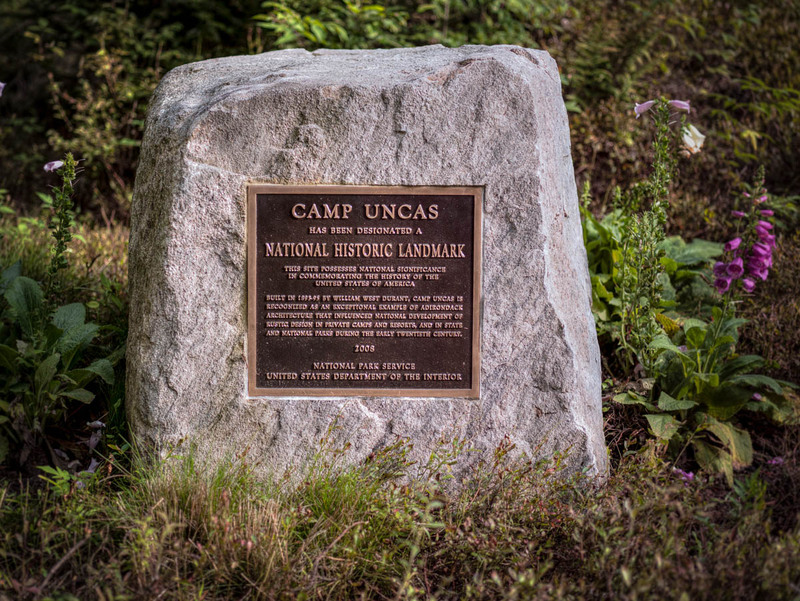 In 2008, Camp Uncas was designated as a National Landmark—a distinction given to only about two percent of all the properties listed on the National Register of Historic Places (on which Uncas was listed in the 1980s). Now Howard Kirschenbaum and his family are ready to sell their part—the main part—of Camp Uncas. 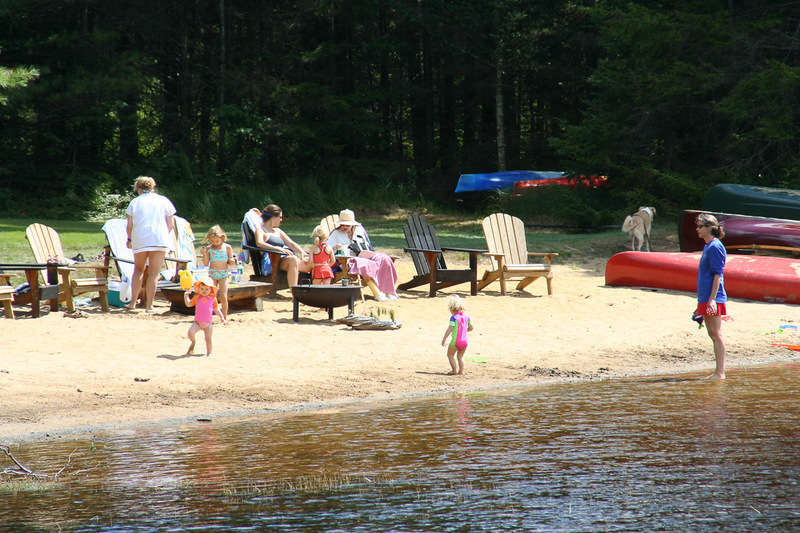 They hope that the next individual or family who purchases it will derive as many years of pleasure and family memories at Camp Uncas as they have. 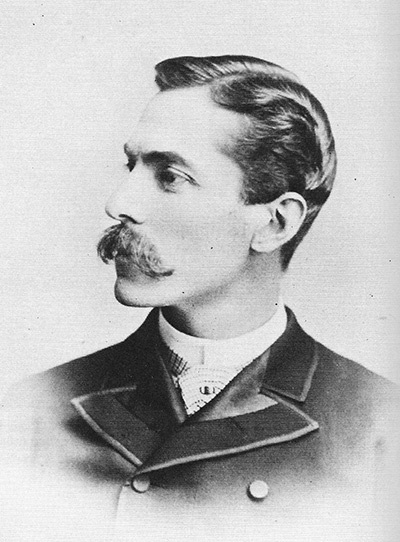 Harvey Kaiser, Great Camps of the Adirondacks. Boston: David R. Godine, 1982. Craig Gilborn, Adirondack Furniture and the Rustic Tradition. New York: Harry Abrams, 1987. Craig Gilborn, Adirondack Camps: Homes Away from Home, 1850-1950. Syracuse, NY: The Adirondack Museum and Syracuse University Press, 2000. Gladys Montgomery, An Elegant Wilderness: Great Camps and Grand Lodges of the Adirondacks 1855-1935. New York: Acanthus Press, 2011. F-Stop Fitzgerald. Adirondack Style: Great Camps and Rustic Lodges. New York: Universe, 2011.